I couldn't help it. I'm a novelist, and that's what we do----take liberties with words. 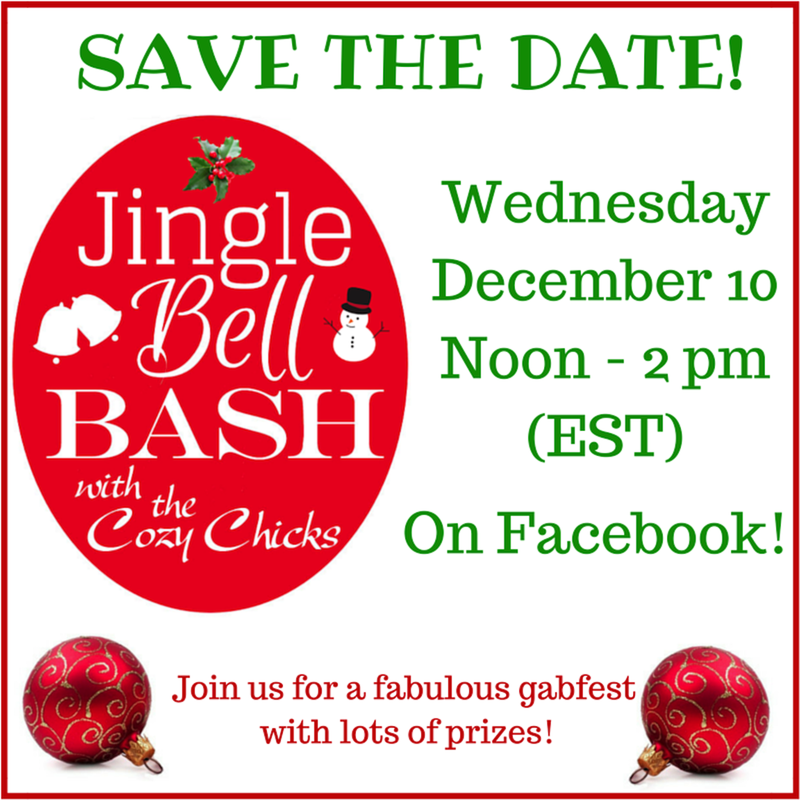 And I wasn't about to miss this chance to remind all of you that tomorrow, Wednesday, December 10th, is the day the Cozy Chicks are hosting our "Jingle Bell Bash" on Facebook. That's our 2-hour online gab fest from 12 noon to 2:00pm Eastern Time with all seven of the Cozy Chicks present and ready to chat and answer any questions you folks and other fans and readers may have. We'll also have all sorts of Party Favors to give away during that two-hour period. Lots of great Cozy Chicks items from the online Zazzle store: Cozy Chicks tote bags, mugs, and mouse pads. Plus, goodie bags. Meanwhile, here's a super easy, super delicious recipe for you to enjoy and share with family and friends this holiday season. A warning is in order: This is not a recipe for Tee-totalers. A-hem.